Highlights of Budget 2015-16: Amidst high expectations, FM Arun Jaitley presented his first full term budget. Though it lacked big bang reforms, it did aim at kick starting investments along with balancing populism for the poor, middle class and corporate sector. 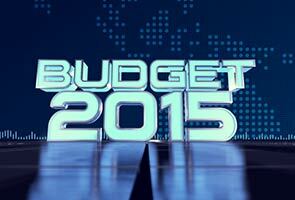 Amidst high expectations, FM Arun Jaitley presented his first full term budget. Though it lacked big bang reforms, it did aim at kick starting investments along with balancing populism for the poor, middle class and corporate sector. He paved the way to a 8 to 8.5% GDP growth bringing the fiscal deficit down to 3% over next 3 years. Corporate Tax Rate reduced to 25% for over next four years, simultaneously exemptions to corporates to be withdrawn. No change in income tax slabs for Individuals. Exemptions For Individual Tax Players To Continue. Overall tax deduction benefits to individual investors at 4.44 lacs. Wealth Tax abolished. But 2% surcharge on income tax for super rich. Foreign Exchange Management Act to be ammended suitably to allow for seizure of equivalent assets in India in case of Foreign Assets created using black money. To Tighten Reporting Of Cash transactions. Quoting PAN a must for all purchases above One Lakh. Proposes to rationalise capital gains tax regime for real estate investment trusts. Rental Income from REITS to have pass through facility. 100% deduction allowed for all contributions in Swachh Bharat Abhiyan [except contribution in CSR]. To defer GAAR by 2 years. Retrospecive tax provisions will be avoided. Deduction on Health insurance u/s 80D increased from 15000 to 25000. For senior citizens to 30000. Additional deduction of Rs.50000 u/s 80CCD towards New Pension Scheme. No change in limits u/s 80C. No MAT for FPIs and FIIs. This comes as a big boon for Foreign Investors in Indian Equities market who were being taxed under MAT despite Nil tax on Long Term Capital Gains. Employee’s contribution to EPF below an income threshold will be optional without reducing employer’s contribution. Bankruptcy law reform has been identified as a key to ease of doing business. Bring comprehensive Bankruptcy code in 2015-16. FM proposes to do away with different types of foreign investment and replace them with composite caps. Benefits for MSME sector – setting up of Mudhra Bank, electronic bill discounting system and fund for technology startups.